Most horses suffer at some time in their lives. Being horses, the ultimate prey animals that have survived for millions of years by hiding all weaknesses, they continue to hide their problems from us. It is important that we all learn how to recognize the pains and discomforts that plague them. Helping Horses by Educating Humans. 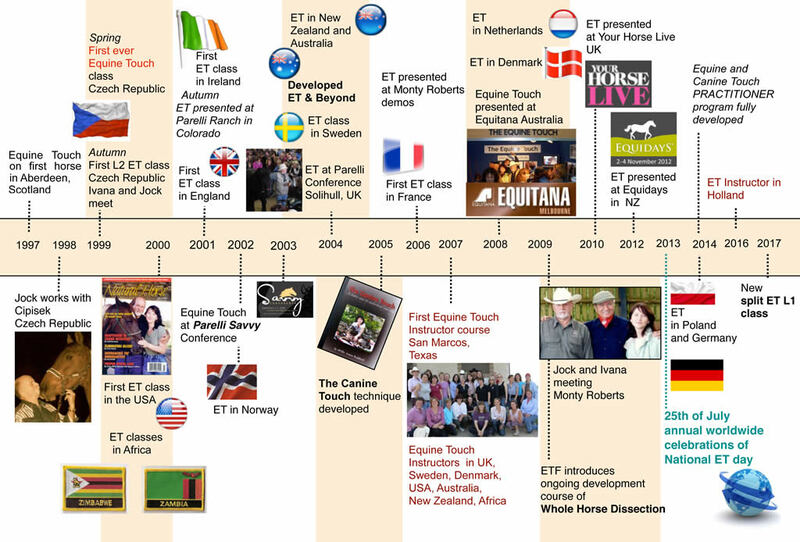 In the Equine Touch Foundation, we have created an effective and powerful technique that is easy to learn and does not require long term study, yet which still opens the door to knowledge. The Equine Touch is a non-diagnostic, non-invasive Equine Bodywork system which is an holistic soft tissue address, effecting mostly connective tissue – muscles and tendons, joint capsules and ligaments using a very specific move.